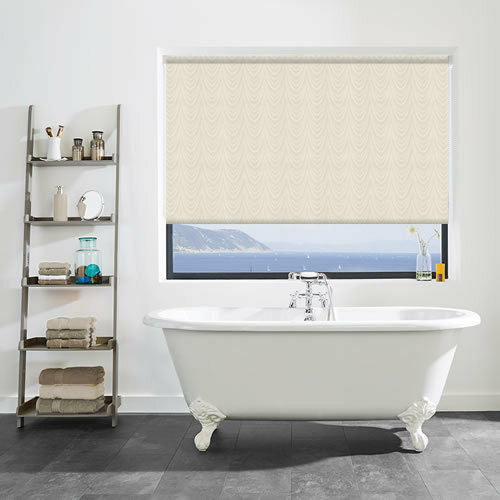 The fabulous festoon patterned design of these beige and shimmering silvery metallic beige waterproof roller blinds is both timeless and contemporary. Perfect for adding some rich neutral colouring and elegant detailing to the kitchen or bathroom windows. Very satisfied. The blinds look lovely, and I was particularly happy that when I rang to ask if they could be sent out quickly, in time for a family occasion, they were sent the next day. Thank you.